Taken during Canon digital imaging class assignment at Little India on 9 March 2013. Task: take anything interesting about Masjid Abdul Gafoor Mosque, streets of Little India, and wet market. Been to Little India once but I never knew there was more to this hidden gem than meets the eye. Interesting. Never has there been a place like Little India where a whole barrage of colors and activity gather in one epic pothole. Hindu Temple, Mosque and Chinese Temple are just round the corner at one densely populated settlement. There’s so much to see. Beer bottles and tables in a mess. Who drank from them and who was seated there the night before? Garlands making and fruit selling and photographers shooting. And there’s the wet markets – bursting with activity from meat sellers hankering for business and customers, Singaporeans and Caucasians looking for the best deals. There’s so much to see, smell and hear. There is magic even in the seemingly ordinary of things. View the entire gallery here. P.S. Photos and the inspiration behind it is solely by the photographer. I would appreciate being tracked back for them if you have used them. Thank you! Any movie with Nicolas Cage as part of the cast is guaranteed to have a certain level of success. The Sorcerer’s Apprentice is no exception. 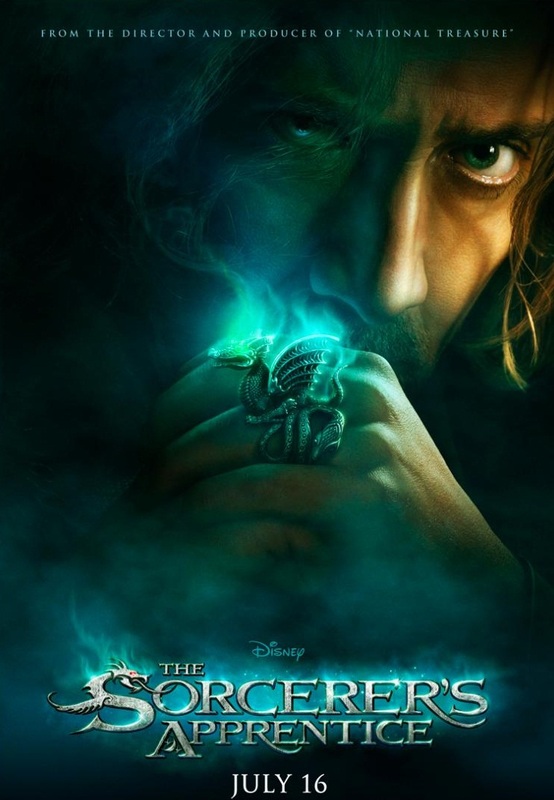 The Sorcerer’s Apprentice follows the story of Balthazar Blake (Nicolas Cage) as he combs the planet, looking for the Prime Merlinian (the chosen one) who will inherit Merlin’s powers and destroy Morgana le Fay (Alice Krige), basically she is the most evil and powerful of all wizards who seeks to destroy the world and Merlin was the only one who could stop her until… he died. Yea, you heard me right, it’s the same Merlin the wizard, advisor to King Arthur… ya know. As strange as it seems, in the beginning of this film, it is revealed that Merlin has 3 disciples and he dies, which really puzzles me. Morgana and Balthazar’s arch nemesis Maxim Horvath (Alfred Molina) were both trapped in the Grimhold (a prison in the form of a doll) and Balthazar must find the chosen one to destroy Morgana. Young 10 year old Dave Stutler (Jay Baruchel) comes into Balthazar’s shop ‘coincidentally’, which was revealed by Balthazar to be no coincidence. As silly as it seems, young Dave Stutler just have to do what he was told not to do, causing him to drop the Grimhold and as a result, release Maxim. Both Balthazar and Maxim became trapped in a vase that traps the person who opened it for 10 years. 10 years later, Maxim comes looking for Dave for the Grimhold and release Morgana while Balthazar seeks to teach Dave the magic arts and protect the Grimhold from falling into the hands of Maxim. A fierce battle ensures and Dave has to make difficult decisions, between saving the world or being with his 10 year crush, Rebecca “Becky” Barnes (Teresa Palmer). The movie effects were very intriguedly assembled together and comedic dialogues and moments were filled throughout the movie between the teacher and apprentice or even between the good and the bad. But the movie plot falls through unfortunately. The fictional story was put together by director (Joe Turteltaub) but the lack of substance in the plot is just too evident despite the great effects and cast. Even the hilarious dialogues and great movie effects can’t make up for the lack of plot. 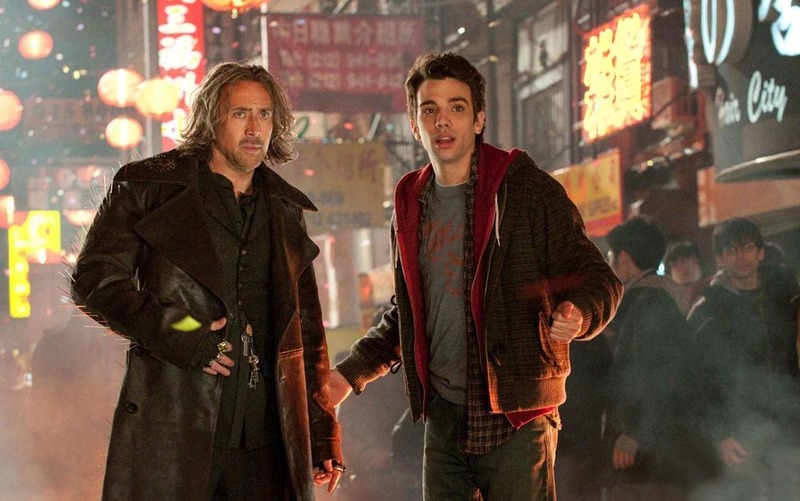 If there is no other movie to watch at the theatres or if you’re a Nicolas Cage fan, watch The Sorcerer’s Apprentice.